The scrub is always near. The splodges of green everywhere make this metropolis feel, even now, like an interloper in the wasteland, and people commute daily into Sydney from country that is almost virgin bush. Only just outside the metropolitan limits, up on the Hawkesbury River, are communities that still cannot be reached by road, to which the mail goes out each day on a chugging river-boat, nosing its way among the creeks and channels, between woodlands where wallabies leap and koalas ruminate, to be unloaded on rickety wharfs at hamlets of shacks and bungalows, and hobbled away with by aged oystermen – the air-conditioned towers of Sydney itself hardly out of sight beyond the gum trees! The sea everywhere, insidiously entering the city in a myriad inlets, seems a vacuous kind of ocean, which seldom brings the tang of a salt breeze into the downtown streets, and often looks to me indeed like fresh water all the time. The history of Sydney, like the history of Australia, is essentially blank, very little of interest ever having happened here, and there is a sort of bloodlessness even to the very success of the place, and a pallor to its style, and a curious suggestion of muffle even at rush-hour, which reminds one repeatedly of that immense desolation beyond the hills. This sensation preoccupies many Australian artists, and affects me very strangely. Sometimes in Sydney I feel I am not looking directly at the city at all, but seeing it through glass, or perhaps reflected in a mirror. Its edges seem oddly ill-defined when I am in such a mood, its pellucid light is lacking in refraction, without the opacity of dust, breath, history and regret that hangs on the air of most great cities. The wind seems to have been filtered through some pale mesh of the south. Even the seafood, however imaginatively garnished with strawberries or avocado, seems to lack the tang of the deep sea and the tides. Even the Australian language sometimes sounds to me echo-like, as though it is reaching me from far, far away, or out of another time. Sydney can be exhilarating, but it is a moderate exhilaration. It can stir the heart, but not quite to the point of ecstasy. You do not dance along these streets, or thrill to the beat of the place. Its faces, in repose, are neither kind nor cruel, but just expressionless. People seldom seem surprised in Sydney, and for that matter they are seldom very surprising themselves: though it is astonishing that so grand a place should exist down here at all, so handsome, so complete a metropolis on the edge of nowhere, still it never gives the impression, as other young civic prodigies do, that it has burst irresistibly out of the sub-soil into life. 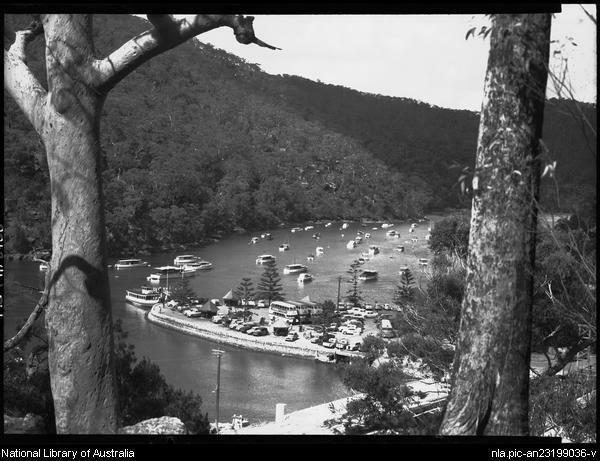 That Frank Hurley photograph of Bobbin Head is wonderfully evocative – the height of the gullies I’d completely forgotten, and the congestion at the boat ramp rings so true (and a double decker bus no less!). 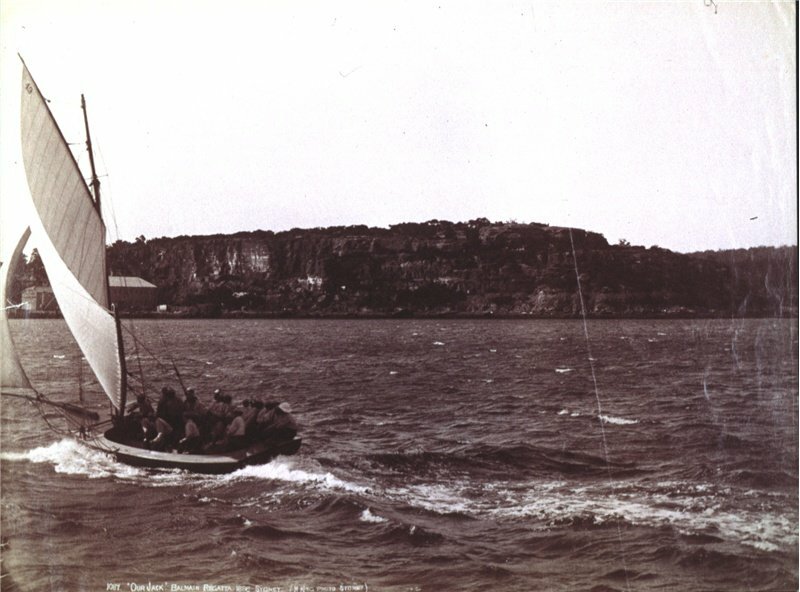 I grew up in Pymble – a romantic wild garden suburb in those days, our street only partially curbed and gutted, freesias growing wild on the banks to be picked on a Sunday afternoon in late winter, and the drive down Bobbin Head Road a big outing. I still have a scar on my foot from a cut from an oyster on a rock. It was bathed in the hottest water I could stand, and dressed with a sugar soap poultice, or magnaplasm, or was it both?